Last summer, J and I were hooked to MasterChef and were both cheering on Christine, The Blind Cook on the show. At first we were a bit skeptical, like a lot of viewers out there. Seriously, how could she pull through so many challenges without being able to see? The one challenge that impressed us both was a challenge where the contestants had to reproduce a dish that Graham Elliot makes at his Michelin Star rated restaurant, a white tuna dish - one that he's actually served to President Obama in the past. The other four final contestants were able to see the plating of the dish in addition to tasting it. Christine however, being visually impaired, could only taste the dish and touch to feel the plating of it. Despite having such a huge disadvantage, Christine had such finesse in her knife work on slicing the raw fish (while others CLEARLY butchered it - it was difficult to watch) and by the end of the episode, her dish came out to be the best replication of Graham's dish. We were super super super impressed and in awe of such culinary talent and dedication. Seriously what an inspiration! So, imagine our surprise when we find out around finale time, that Christine is actually cousins with one of our close friends in Manhattan? Since winning MasterChef, Christine has visited New York a few times so I've had the pleasure of meeting her during our dinner at Blue Hill at Stone Barns. During that meal I was definitely feeling a bit fan-girl like and a bit star struck. Since then, I've had the time to process the shock and have been able to act like a much more normal person around Christine. She is so sweet and down to earth, pretty much what you expect her to be like from watching her on the show. 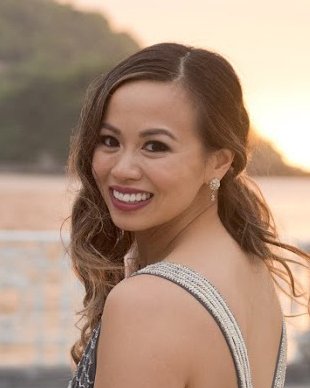 Christine mentioned that she thinks she's actually a bit edgier in real life than they portrayed her on the show since they chose to set her up to be the innocent sweet one. On one of her recent trips to Manhattan, we wanted to meet up at Danji for dinner but realized it was closed for an event. So, we decided to go to Yakitori Totto instead. Yakitori Totto is the sister restaurant to one of my favorite ramen places in the city, Totto Ramen. If you are looking to skip the hour plus wait at Totto Ramen and grab a bowl at Yakitori Totto instead, you are making a big mistake. I know this because I thought I could cheat the system and skip the wait. Don't make my mistake, don't go to Yakitori Totto and order a bowl of ramen, go to Yakitori Totto and order its namesake. At around 8PM on a weeknight, we ended up having to wait 20-30 minutes, which is considered short. If you're here during the weekend, be prepared to wait for at least an hour or more. Sometimes larger parties get lucky if the tables happen to open up. 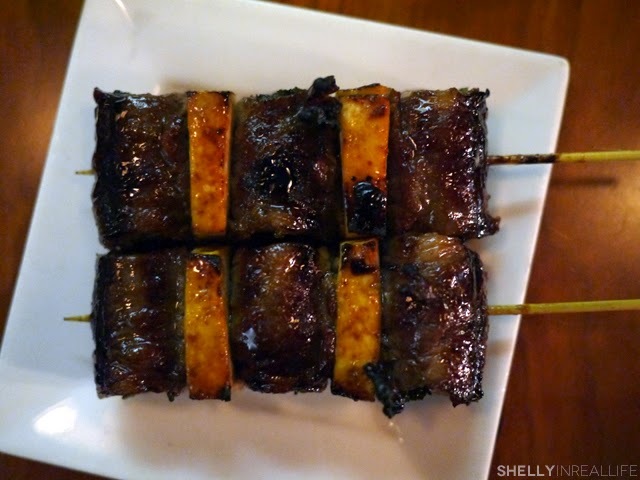 The yakitori here is definitely high in the ranks of the best in Manhattan. There is a $20 minimum per person limit, but don't worry, it won't be too difficult to surpass that minimum. 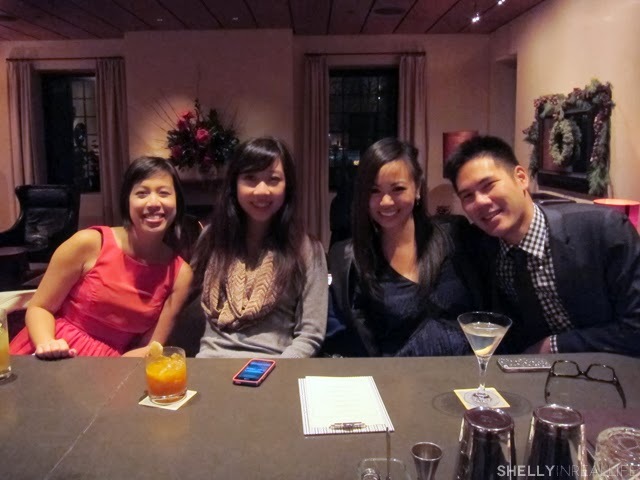 Of all the appetizers/small dishes we ordered to share, their Braised Pork Belly was definitely our favorite. 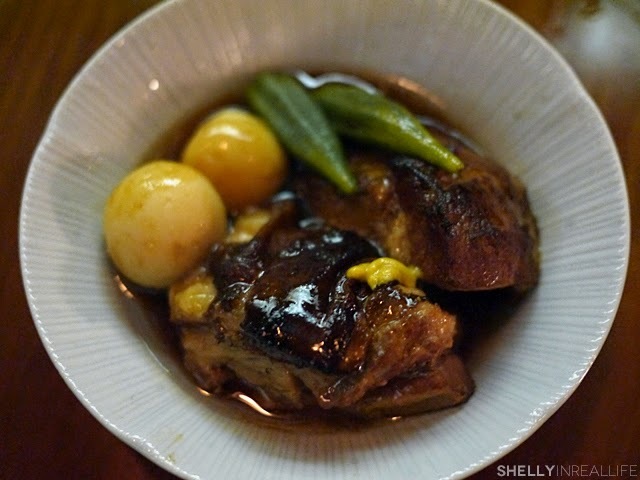 Melt-in-your-mouth tender, awesome braising liquids and even served with a fish ball on the side! 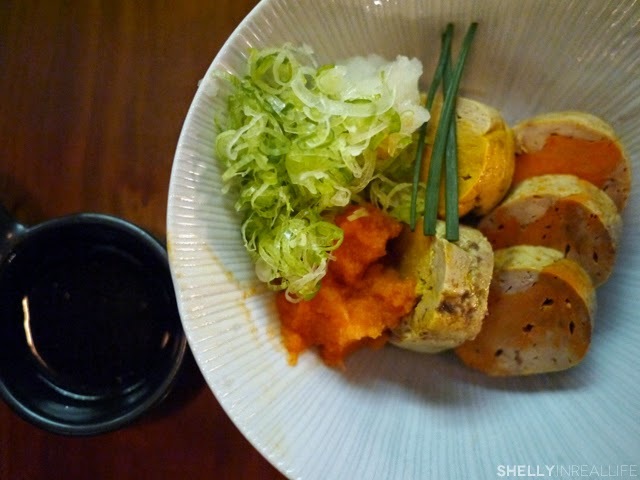 Prior to this meal, I had never tried Monkfish Liver. It was a lot chewier and denser than I imagined it to be. Personally, I wasn't a fan, but was informed by Christine that that's what monkfish liver is pretty much supposed to taste like. 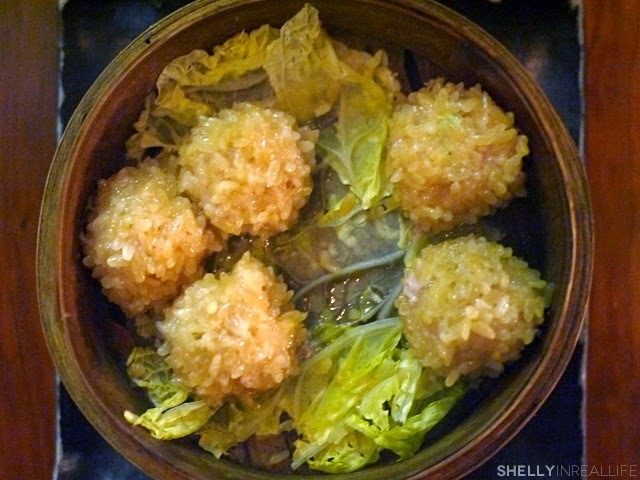 I love gluttonous rice anything, so another favorite of mine was the Tori Dango which basically is rice covering a chicken meatball. 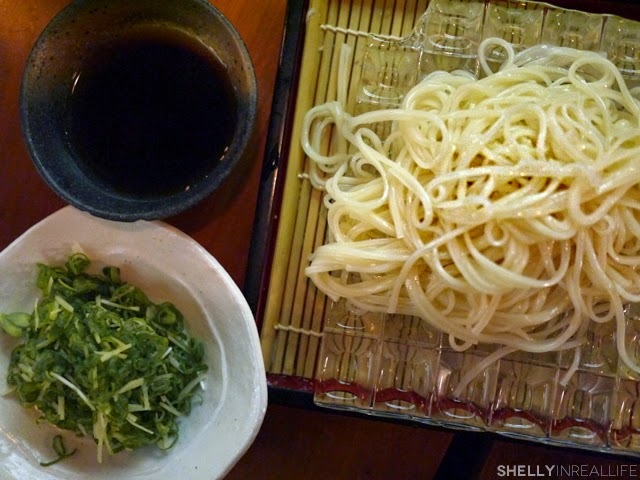 Another dish I found interesting but didn't fully love was their chilled udon. The texture of the noodles was a bit odd to me and almost reminded me of really fresh pho noodles. 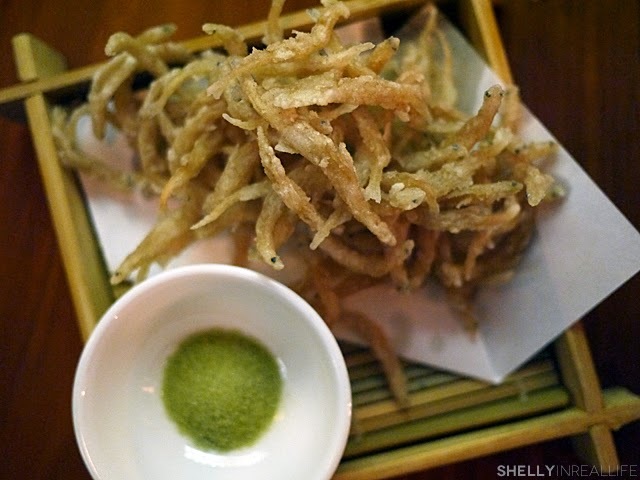 It had a dipping sauce on the side with tons of scallions which I love. I guess it's okay to share, but wasn't spectacular to me. I was also intrigued by the Deep-fried Small Silver Fish. Silver fish might look a bit creepy but my parents used to steam it with ground pork to serve with rice. Here - it's deep fried and honestly I couldn't really taste much past the overall greasiness of the fried coating. Might be good to eat as munchies with beer or sake. 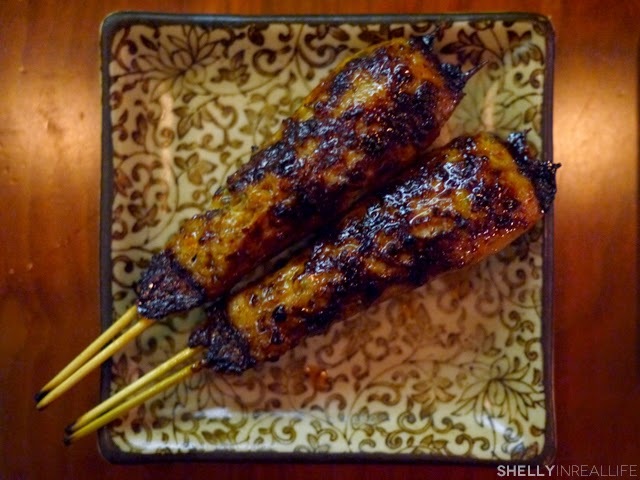 Moving on to the namesake, the yakitori. 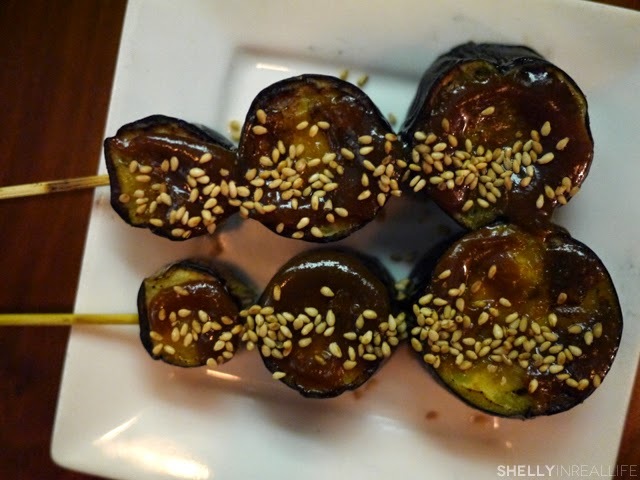 All of the yakitori we ordered were solid, but a few highlights for me for the night is the Stuffed Shishito Peppers. 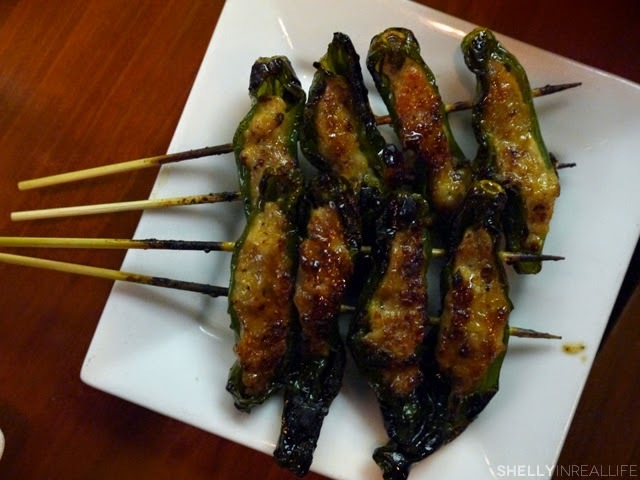 The shishito peppers, stuffed with chicken and glazed with a sweet teriyaki sauce. Loved the charred bits too. Bacon wrapped anything is good, so the Bacon-wrapped Enoki Mushrooms was definitely a highlight. Another fun dish we ordered was the ginkgo nuts which didn't taste that distinct for me, but we wanted to try it. After we finished some of our yakitori, we were still hungry, so we ordered more. They had the sukiyaki beef as a special, so we ordered it. I really enjoyed this one as it had a good mix of veggies and meat in it. Covered in the sukiyaki sauce, who can really complain? 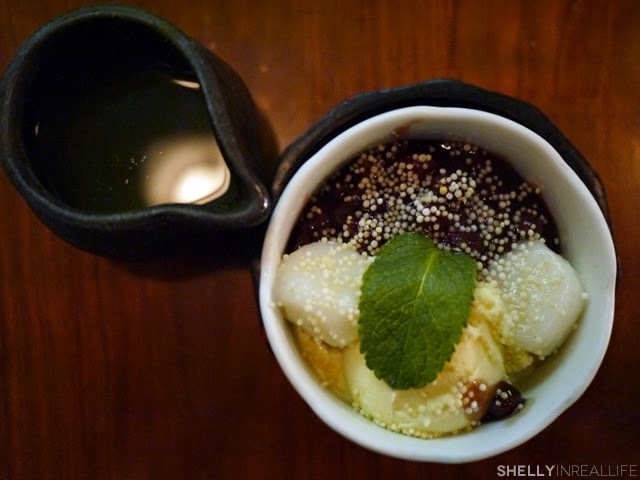 At the end of the meal, we decided to try out the Japanese Green Tea Affogato dessert. Usually a traditional affogato is espresso with ice cream. Here at Yakitori, they had us pour green tea over red bean, mochi and ice cream. I thought it was a fun and delicious twist to the usual dish. 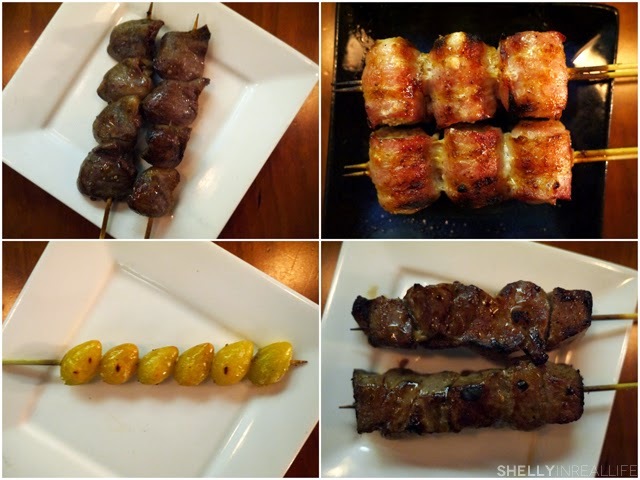 Dinner at Yakitori Totto is always solid and good. It was fun catching up with Christine again and hearing about all her new adventures since being titled a MasterChef. 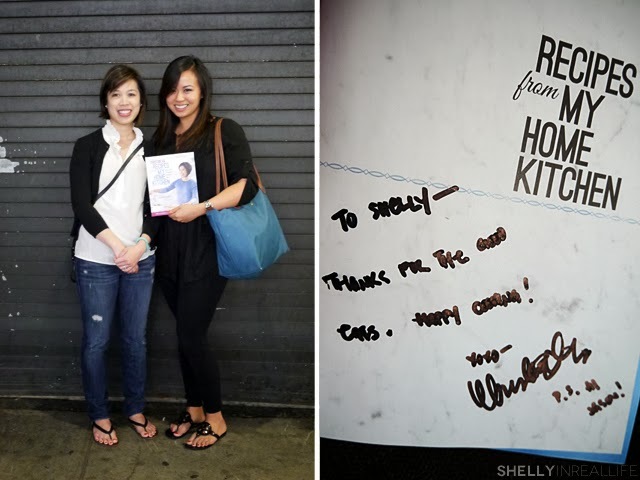 Her cookbook, Recipes from my Home Kitchen, came out a few months ago, and of course I had to get it signed! I really enjoyed the fusion approach to the cookbook since it features comfort food from both her Asian (Vietnamese) upbringing, as well as some American classics. I definitely recommend you check it out - it's even listed now as a top seller on the New York Times list! 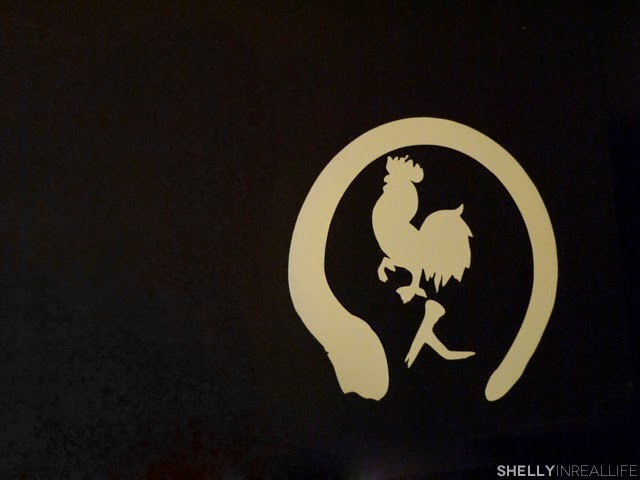 "To Shelly - Thanks for the good eats. Happy coooking! xoxo Christine. P.S. Hi Jason!"